Come and stop by the beautiful and gracious Palladio Antiques and Art on Central Avenue in Memphis on Thursday, Nov. 3 from 5-8 p.m.! 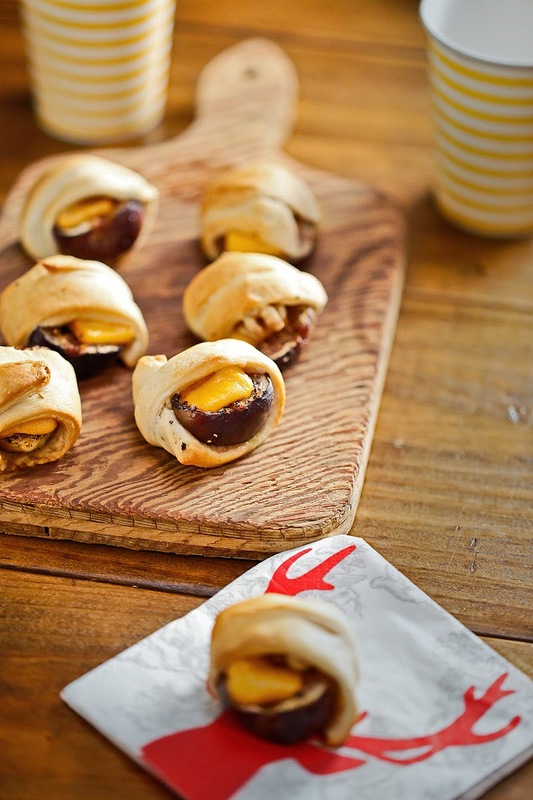 It's their Christmas Open House, and there will be copies of the just-released Chubby Vegetarian cookbook (Susan Schadt Press, November 2016), and of course, it's pretty likely that we'll also cook up a little treat or two from our book -- maybe some Figs in a Blanket, as pictured below! -- for you to try. We're really liking the 'one savory and one sweet' precedent that we set at our signing at the Booksellers at Laurelwood signing last week. There, our plates of Spaghetti Squash Ribs with Purple Cabbage Slaw and the tray of Spicy Banana-Almond Date Bites were much appreciated by our sweet audience. We were so happy to see TCV blog readers, some of whom we just met for the first time and adore and others who have become friends who have inspired us over the years, come celebrate with us along with the folks who have known us forever; it meant a lot that so many folks showed up to listen to the story of our second cookbook and let us know they support us and are cheering us on as we see where all of this leads. This past weekend, we were already discussing and debating what we'll offer up at Palladio. It's going to be holiday-ready, and it's going to be good! We're going to have a blast getting ready this week and thinking ahead to Christmas, and we can't wait to see you there. 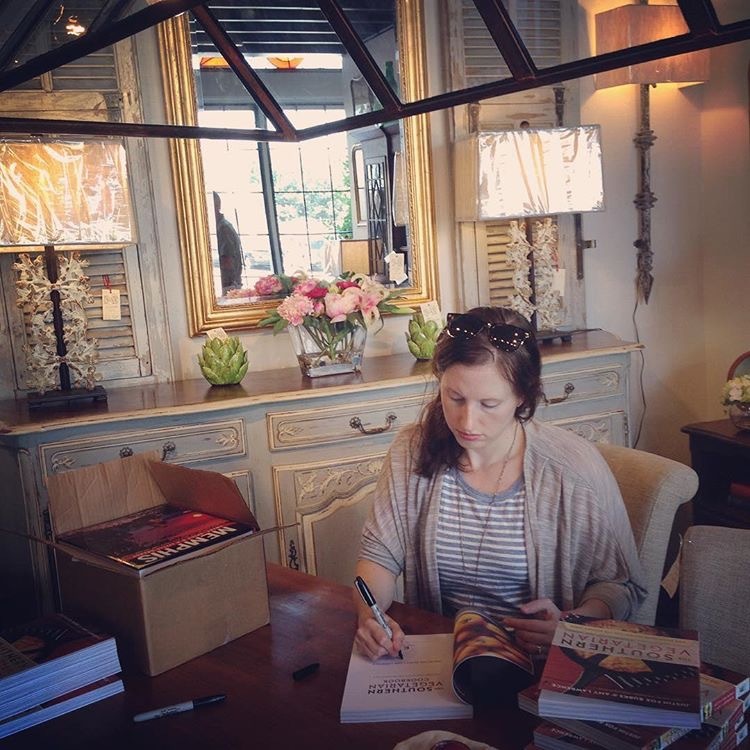 Palladio carried our first cookbook, The Southern Vegetarian, and here's Amy (above) signing them there way back in the summer of 2015. We so appreciate Palladio championing our work over the years and are so excited to have been invited to attend this year's Christmas Open House. We are SO excited about the release of our new cookbook, The Chubby Vegetarian: 100 Inspired Vegetable Recipes for the Modern Table (Susan Schadt Press, 2016). According to the 6-foot-tall poster we spotted this evening, we'll be at The Booksellers at Laurelwood this Thursday (10/27) night at 6:30 for our first open-to-the-public The Chubby Vegetarian cookbook signing. It's going to be the place to be. We're going to have a snack for you, and we're also giving away one $100 gift certificate to Restaurant Iris and one $50 gift certificate to The Beauty Shop. All you have to do to be entered into this random drawing is show up and put your name in the hat. The drawing will happen around 7:00 p.m.; make sure you're around to snag your prize because you must be present to win. Going to be fun, y'all! 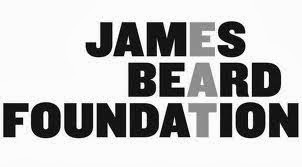 Want to know more about us? 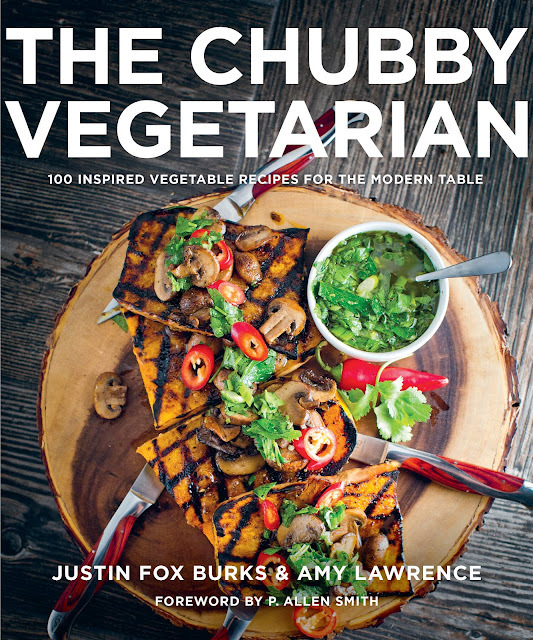 Check out THIS story in the Commercial Appeal, THIS great recap of a Chubby Vegetarian dinner party from Vegan Crunk and Hungry Memphis, THIS radio interview with Jennifer Chandler for WKNO's "Weekly Dish," and THIS blog post from the Memphis Flyer's Richard Alley. We're so grateful that everyone is so happy for us, and we're so humbled by all of the energy everyone is pouring into our project. Thank you, Memphis! 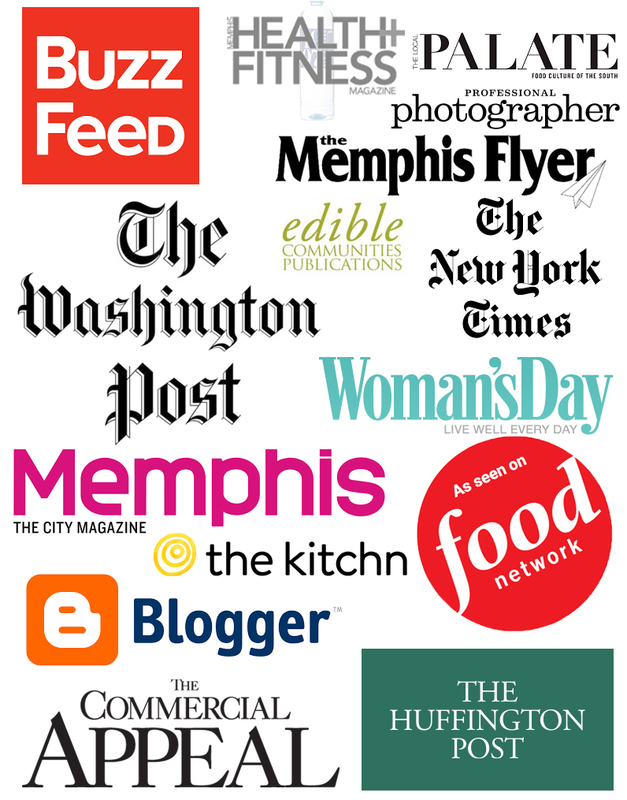 We had such a great time meeting readers at the Booksellers of Laurelwood tent last Saturday evening at the first Memphis Food and Wine Festival! A huge thanks goes out to everyone who stopped by and hung out with us. 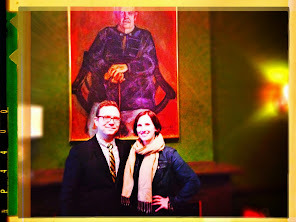 The festival itself was quite a success, and being a part of it was pretty darn amazing. Now here's another opportunity this coming week to come see us and grab your copy of TCV in Memphis at Booksellers on Thursday, October 27 at 6:30 p.m. We'll be saying a few words, offering up a little pre-dinner treat for you, holding a drawing for a few prizes, and signing copies of our brand-new second cookbook, The Chubby Vegetarian: 100 Inspired Vegetable Recipes for the Modern Table (Susan Schadt Press, 2016). We would love for you to join us and help us celebrate the upcoming release of our book. 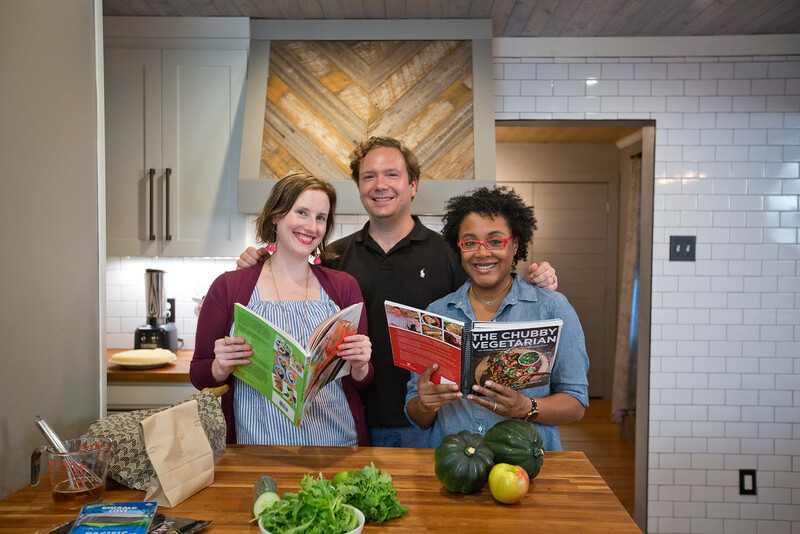 Joining forces for an article in the fall issue of Edible Memphis this month, the three of us collaborated on a Sunday dinner at our house in September, and it was a blast talking about our lives in the kitchen, why we cook, and how writing a second book goes. 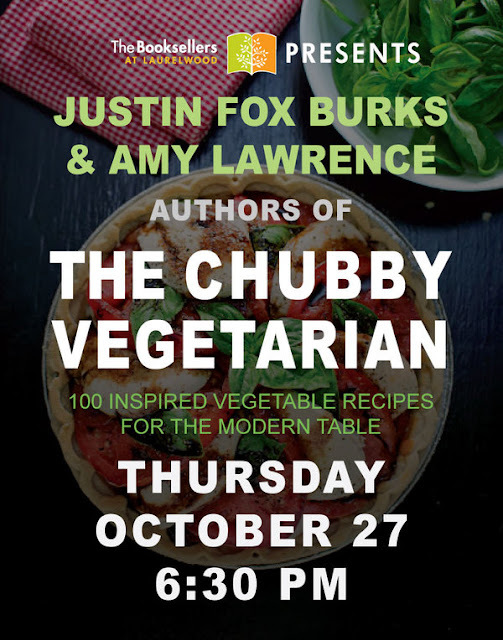 We made her Faux Roe Rolls from the new book while M. chose to put together our Curried Acorn Squash Salad from our own second cookbook (click the previous link to see details about our first public event for the book!). 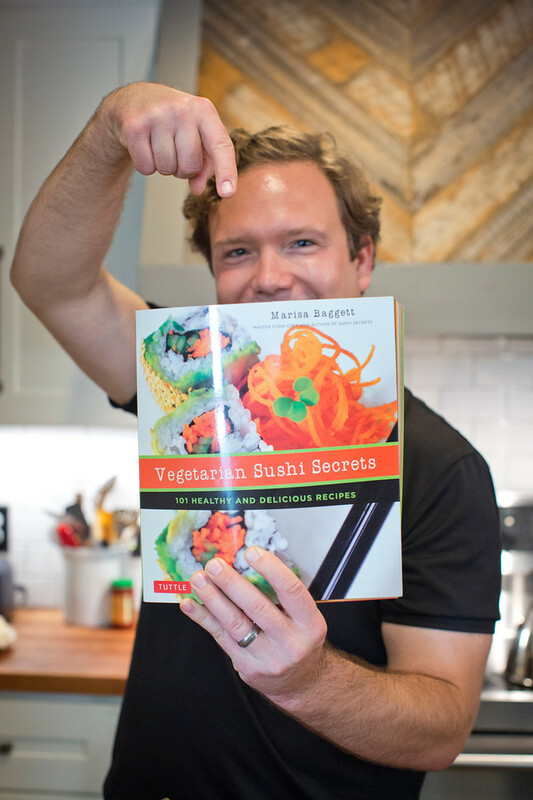 Come to Marisa Baggett's book signing at Booksellers in Memphis on Tuesday, October 25, and get your copy of the book that changed the way we make veg sushi!